On the occasion of the biggest eclipse to ever hit earth, Willey and Co. would like to remind you that the last biggest eclipse to hit earth ever, was in 1979. If it has been that long since you have had someone pump your septic system it is time to give us a call. 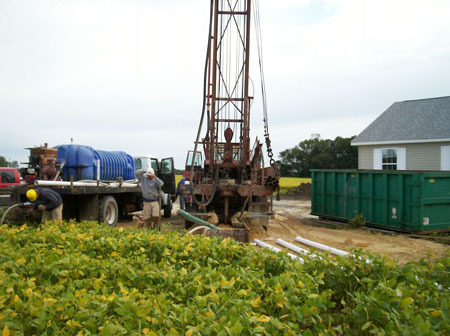 Not only do we do septic system pumping, replacement and installation in Sussex County, we are also one of the most trusted well drillers in the area. Now, well drilling takes talent and skill, depending on what you are looking for. If you are looking for oil then you will need to go the Jed Clampett route and just hope for the best, but if it is water you are looking for Willey and Co. are your crew. Back in the old days, it was not uncommon to drill quite a few holes in order to find an acceptable water source. Basically drilling for water was a hit or miss prospect because the information about groundwater was simply not available as it is today. Due to advances in ground penetrating radar, sonar and GPS technologies it is incredibly easy to find the ideal spot to drill a well on your property. Now as much as we are old school in our customer service, we firmly believe in utilizing the most current technology in order to save you money and get the job done as effectively as possible. We haven’t been around for 40 years for nothing! As we said, when we are contracted to drill a well for our clients the first thing we do is research. With the proper research, finding the ideal location to drill a well is much easier, in fact it is necessary. Well drilling has historically been done in three different ways. The first is the most obvious, find two willing souls and hand them a shovel. We know from history text and archeology that well digging has been around for thousands of years. The town square used to be the focus of everyday life in ancient times and generally a well was at the center. The people actually built their lives around the water. In ancient Rome bathhouses were constructed over wells that were connected to hot springs. An interesting type of historical well was a step well. The step well was a hand dug pit that was covered by a building of some kind. Step wells became a gathering place and an important part of the community. Most hand dug wells were not very deep and tended to collapse after a period of time without reinforcement, this is where stone work and wood were utilized to prop up the sides of the well. The next kind of well drilling is much easier on the humans in charge of the project, in fact it is still utilized today, driven wells. These wells are dug by inserting a small pipe into a hole and hitting it with something. Think of the pipe like a nail and the “something” a hammer. The pipe is driven into the ground until water is discovered. This technique is not good for digging deep wells and is only utilized where the water table is shallow. This brings us to the third and final type of well, the type Willey and Co. are experts at drilling. The drilled well is the most effective form of drilling and drillers are able to move through hundreds of feet varying material. The advantage of a drilled well is they are much more cost effective and produce the best results. Currently the technology is in place to drill a well and pour concrete to reinforce the sides at the same time. As much as it sounds like drilling would be an easy task, there are many variables in place when drilling a well. At Willey and Co. We are proud to have served Delaware for the past 40 years, bringing clean drinking water to hundreds of families. 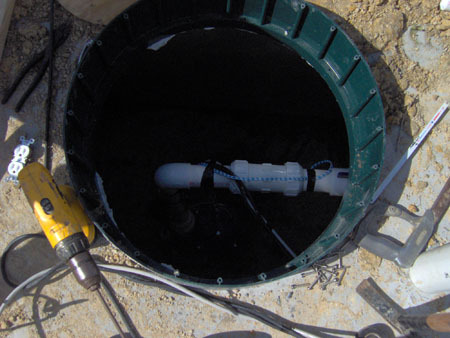 So next time you are needing a well, a septic tank service or a personal water treatment system please give us a call. We look forward to hearing from you!